The Dynamode Sound2 is ideal for Business Users, Students, Gamers and anyone looking to use existing audio technology but without the hassle of investing and installing costly and time consuming audio cards or buying expensive new USB audio systems. Do you have a Notebook, Netbook or Desktop PC and need to connect your existing Stereo Speakers or Headset and Microphone but do not have the common 3.5mm Phono Jacks available? The USB-SOUNDCARD2.0 from Dynamode is the ideal solution. 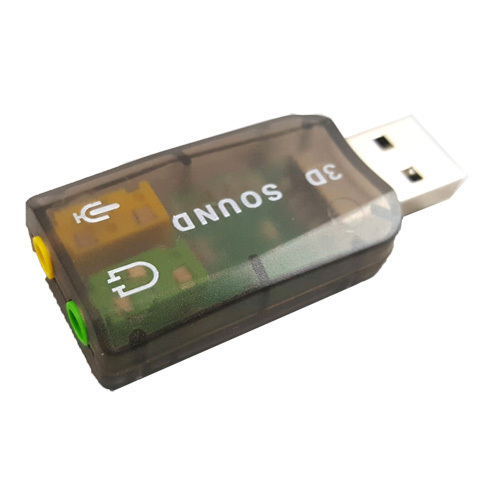 Small and compact, the Plug n' Play USB adapter simply plugs into any available USB Port on the Computer and allows immediate connection of Speakers, Headphones and/or Microphone into the standard 3.5mm Phono jacks located at the rear of the adapter. Fully colour coded so you get it right first time!